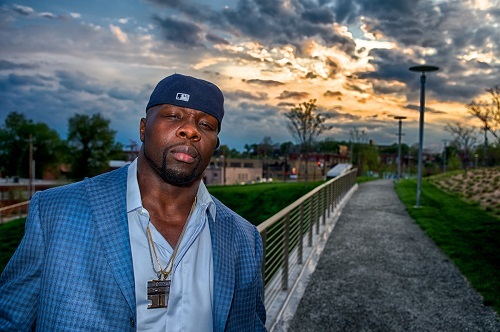 (New York, NY — July 10th, 2017) – Tamba Hali, best known by football fans as a linebacker for the Kansas City Chiefs, is now making moves on the musical gridiron. Hali debuts his skills as a singer, rapper and songwriter with the release of his first single, “One for Me.” The feel-good, Afrobeat-driven track is the first of several forthcoming songs from Hali’s independent label Relumae, which means the one that shines the brightest. Already a standout on the football field, Hali has also attracted the ears of some of the hottest producers in the game. That growing list of early believers/collaborators includes Mannie Fresh (Lil Wayne, 2 Chainz, Big Tymers), DJ Camper (Jay Z, Chris Brown, Big Sean), Metro Boomin (Future, Post Malone, 21 Savage) and Devin Cruise (Wiz Khalifa, Lil Yachty, Ty Dolla $ign). Hali is currently collaborating with in-demand Nigerian producer Masterkraft, who helmed the “One for Me” sessions.